“The Manufacture of Edison’s Talking Doll” in Scientific American 1890. Well before the iPod and mp3’s became a staple of daily life, portable music was only available by the phonograph and tin sound recordings. In 1877, Thomas Edison created the phonograph and by 1888 was on the hunt for a novel way to use his invention. Seeing an untapped market in children’s toys, Edison thought to place tin recordings in dolls. By 1890, these talking dolls were on sale to the public. While they failed as a significant financial venture for Edison, they represent several firsts in the recording world. The women hired by Edison to record voices for the dolls are some of the first recording artists, and the tins themselves represent the first recordings intended for mass sale—the birth of the recording industry! “Talking Doll” manufactured at Edison plant, NY, 1890; men made body, women dressed it. For more information on Edison’s talking doll, check out this National Park Service article. The National Park service also includes links to an original sound recording, as well as additional primary sources including Edison’s Laboratory notebook and two articles “Dolls that Really Talk” from New York Evening Sun and “Talks with Wise Dolls” from New York Press. Thanks to Edison, we experience toys and music alike in a whole new way! This entry was posted in U.S. History and tagged childhood, culture, invention on February 26, 2013 by jbcosca. 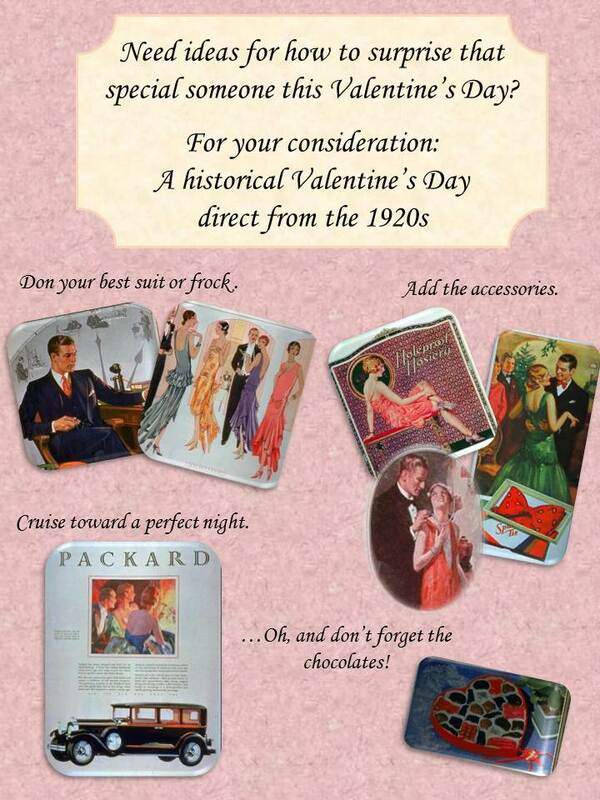 This entry was posted in U.S. History and tagged 20’s pop culture, advertisements, culture, Valentine's Day, women on February 13, 2013 by jbcosca.